Green Harlot, Wonder Wench, BatKnave, SuperFriar, and I think the red one is supposed to be Scarlet Witch, but she’s in the wrong universe. The same reasons other people insist on wearing superhero costumes. 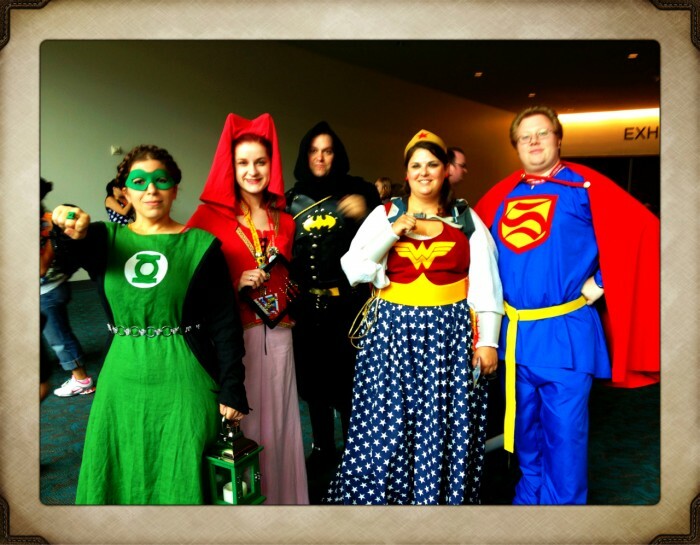 It could be worse….they could be fat people in skin tight revealing superhero costumes.